Olive Oil Chic: Easy Olive Oil Lamp - You Make it! Using an olive oil lamp is safe, easy, and less expensive than you might think. The olive oil lamp dates back thousands of years. It was used as a source of commerce and light, and was for a time the only method of bringing light into the darkness of night. Making your own olive oil lamp is very easy and does not require the use of expensive culinary extra virgin olive oil. In many parts of the world an oil known as lampante is the type of oil used in an olive lamp. Lampante oil is literally the very most chemically refined, bottom of the barrel olive oil. It has little to no nutritional value and not acceptable for consumption in many parts of the world. Sadly, much of the very inexpensive olive oil available for purchase here in America is little more than lampante. But looking on the bright side (yes, pun intended), this is great news because cheap olive oil is everywhere and easy to keep on hand in the case of a power outage! There are many ways to light a home in the case of an emergency, but they can be expensive or require batteries. But making your own olive oil lamp only requires a few inexpensive easy to acquire items, and it is gentle on the environment. You could use other types of cooking oils, but they have been known to smoke and give off a funny odor at times. Olive oil burns clean, bright, and will last many hours on a single wick. As a wife, mother, aunt, and sister of Eagle Scouts, whether I wanted to or not, I have learned a thing or two about being prepared. Therefore, why not keep a few things on hand, just in case? 1. In the center of the lid, drill or puncture a hole slightly thinner than the width of the wick you will be using. 2. 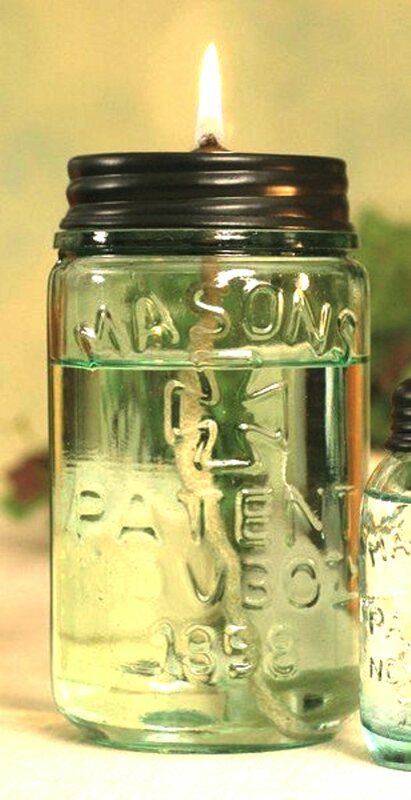 Measure the wick to reach the bottom of the jar leaving about ½ an inch above the top of the jar. 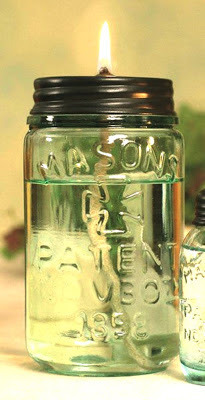 The bottom of the wick should tightly touch the bottom of the jar. The wick should fit securely once placed through the hole in the lid. 3. Pour enough olive oil to reach 1- 2 inches below the top of the jar. Gently insert into the olive oil, and tightly secure the lid. The wick should be standing straight up. Allow several minutes for he wick to absorb the oil before lighting. 4. Let your light so shine!!! Use 100 percent cotton wick, string, or twine. To extend wick life, moisten the wick with water, and place in a small bowl. Cover with salt; rest for a few minutes. Squeeze out any excess water and allow to dry completely. Attach a paperclip to act as an anchor to the bottom of the wick. Want a brighter blame? Use a narrow flat braided wick (a half inch or narrower). Adjust lid hole accordingly. 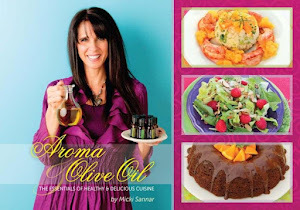 Blend therapeutic grade essential oils into the olive oil for a light filled aromatic experience. Make it really easy, skip the lid and use a oil burner lamp (as shown below).